Air mattress is everybody’s favorite sleeping option when they are out camping or if they have guests over but not enough beds. But can these mattresses be a long-term solution? Is it a good idea to sleep on an air bed every night or should you go for a conventional mattress? Let us help you find the answers to these questions and also let you know risks of sleeping on an air mattress long term. Air mattresses are made up of synthetic material which does not breathe the way a cloth mattress does. This synthetic material makes it impossible for your body to disperse the heat that it generates through the night. So, you will feel sweaty and uncomfortable through the night. In the winter season, the air inside can make cold and uncomfortable. Cover your mattress with a few layers of cotton sheets in summers and a blanket in the winters to deal with this issue. Also read: Why air mattress deflate overnight? An air mattress does not give as much body support as a conventional mattress does. This means that their bed does not provide support for proper spine alignment through the night. Improper spine alignment can lead to back pain, sore limbs and discomfort. You will not have a sound sleep and will wake up groggy and in a bad mood. While conventional mattresses do not require much maintenance, air mattresses need much more looking after. For a coil mattress all you have to do is flip it over once in a few weeks for even wear and tear, air mattresses need to be filled every few days. There is always a chance of your air mattress developing a hole. In such a scenario you need to patch it up as quickly as possible. Air mattresses are not the most comfortable sleeping option. They can be quite uncomfortable as they cannot provide proper support. Good sleep is not possible without a good quality mattress. An uncomfortable mattress will hamper your sleep and lower your productivity during the day. If you are sleeping with someone, an air mattress can be very uncomfortable. It will move every time your partner shifts in the bed. 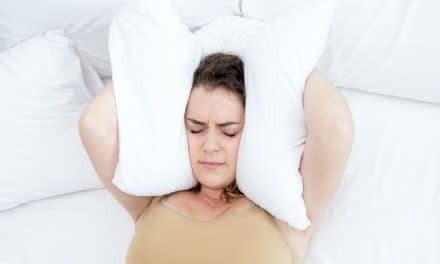 This can make sound sleep almost impossible for the two individuals. You have to rely on built-in or external pumps to fill up your air mattress regularly. If you pump is damaged, the repairs can be costly. Most air mattresses are made from PVC vinyl plastic. The volatile organic compounds from this plastic can give off poisonous fumes even after the new mattress smell wears off. The plastics of these mattresses contain phthalates. These colourless, odourless liquids can accumulate in our bodies and disrupt hormonal function. How can we make air mattresses more comfortable? Although these types of mattresses are used more often temporarily, we can take a few simple steps to ensure that we get the maximum comfort out of them. The air inside the mattresses can get hot in hot weather and cold during cold weather. So, to have a comfortable sleep, we must cover our air mattress with proper bed sheets and blankets or comforters during the winter season. To improve your comfort level, place the mattress on a soft surface like a rug or a mat. The vinyl bottom layer of the mattress does not bode well for hard floors and can make your sleep uncomfortable. Add the mattress topper to improve the comfort level of your bed. This way you avoid sleeping on a hard and rubbery surface. Choose a memory foam topper or a latex topper to improve your comfort level. Place your air mattress on a box spring for added comfort and height. This way getting into and out of bed will become more comfortable. You also tend to feel colder if you have your mattress too close to the ground. Placing your mattress on a stand or a box spring will solve this problem. Move your air mattress close to a wall and place a headboard next to the wall. Not only will it make your air mattress look more conventional it also adds a level of comfort to your bed. This gives you something lean against and prevents pillows from falling off. Inflate or deflate your air mattress depending on whether you want it to be soft and plush or hard and firm. If your mattress has a built-in pump, you can just adjust the softness or firmness by turning the knob. Consider the flowing factors while buying an air mattress. Air mattresses follow similar size norms as a regular mattress. So pick the correct size depending on the size of your room or whether one or two people have to use it. Though these mattresses deflate into a pretty small bundle, consider where it has to be put when not in use. Consider the comfort the mattress you are purchasing can provide you. If you are planning to use the mattress for long-term, then buy one that lets you adjust the firmness with the help of a built-in pump. Some of the cheaper air mattresses can spring a leak within a few uses. So, it better to opt for the best quality you can afford. Since this mattress is going to be for long-term use, ensure that it is durable. From high-quality foam covers, vinyl cover to soft suede, there are a variety of covers that air mattresses come in these days. Choose one that is best suited for your budget. A two or three-year warranty is an absolute must. Ensure that the warranty covers replacement if something goes wrong. Next11 Benefits of Sleeping Naked – You Could Have Hardly Imagined!